I am a software developer and I have started to work for a staffing company A who tried to put me to work at client A1. Company A had filed a premium petition so that I can move from L2(EAD) status to H1B. However, client A1 has refused the job to me as my h1b transfer to company A with client A1 had an RFE and it was asking for a lot of documents which client A1 could not provide. Meanwhile, client A2 is ready to work with me by providing a new offer. Should my employer A respond to RFE first with whatever documents he has received for client A1 and then next day do client amendment? or should he just withdraw RFE petition and file a new petition with client A2 details on it and pay the fees again? I am in the same boat. Can you please provide me your cell#. Mine is 913 953 7488. Apologies, there is one more important fact I did not share: -My I94 when on L2 status was expiring in March 2015 due to my passport expiry date. -For extension of stay - my wife's L1 employer filed I539 which has an approval date of September 2015. It says my L2 extension is approved from September 2015 till November 2016. -When I got h1b in lottery in April 2015, the I797 has an approval date of May 2015 so that my cos to h1b will begin from October 2015. As per the last action rule, was I on L2 status or H1b status starting October 1 2015? Dana is "Dana Delott" from Murthy who I spoke to for consultation. Forgot to ask her, if my H1b extension in 2018 will create an issue or not. I did my h1b in premium processing and my cos was approved before I left the country. I travelled with an approved h1b petition and as a result, I was out of status from Oct 2015 to May 2016. Now once my h1b comes to extension phase in 2018, will I get an RFE or rejection? -March 2014-Entered US on L2 visa and started work on L2 EAD visa.My spouse\'s L1 started in September 2013. -April 2015-I-129 Application for cap-subject h1b submitted by potential employer Mindworld(EAC1513851198). -July, August 2015-Travelled to India and came back on L2 visa. -October 1 2015-H1b status active(I was told my h1 will be active only when the potential employer Mindworld pays salary). -Continued working on L2 EAD visa past October 2015 for different employers. -Applied for EAD extension in November 2015 and it got approved surprisingly by uscis in feb 2016 valid till November 2016. -In Feb 2016 Change of Employer I-129(non-capped) was submitted and its still in pending status(WAC-16-103-50061) by Employer PowerIT. -May 2016-Went to Bahamas and re-entered back on L2 visa and applied for L1/L2 extensions. I had a consultation from Dana, but forgot to ask the following: -When my h1b extension gets filed, will I get rfe and subsequent rejection? Hi, I entered the US in March 2014 on L2B status and I started working using EAD card valid until November 2016 (L1B extn will be processed soon). In April 2015, my capped petition for h1b was filed by a potential Employer B without my Change of Status. As a result, I continued to work on L2 status past October 2015. I started working for Employer A using L2 status on Jan 2016. On Feb 2016, Employer A filed my non-capped H1b I129 form petition with COS (in regular processing) without informing me about the filing. Now the application is pending and I came to know from the lawyer just now. I wish to work for Employer B now and not Employer A. Questions: - What is my current visa status? - Continuing further on L2 status: Can I ask Employer A to cancel the I129 petition?Will that be considered as a H1b revoke? - Continuing further on H1 status: Shall I do premium processing and take the H1b petition and then switch to Employer B? Thanks. I am currently working on L2 EAD for employer X. Now my H1b was applied by employer Y this year in April 2015 without a COS. My petition is approved but my COS is not yet applied for. Can I continue working for employer X on L2 EAD even after October 1st? L1/L2 both are valid till the end of next year so I can continue to be on L2 if I wish till then. Will my H1 petition be abandoned? Can I travel to India in August? I am currently on L2 status and employer says that H1 was applied for in such a way that COS wont happen automatically on October 1st which mean the I797 once I receive it wont have the I94 printed. Does this mean that the explicit COS needs to be applied for after October 1st anytime? My travel to India from now till October will only reinstate my L2 status and I shall continue to remain on L2 even after October 1 then till an employer applies for COS. Here are the h1b premium case details so far: Case History 04/30/2015 We approved your Form I-129, Petition for a Nonimmigrant Worker. 04/20/2015 We received your Form I-129, Petition for a Nonimmigrant Worker, and emailed you a receipt notice. It is being processed at our Vermont Service Center location. 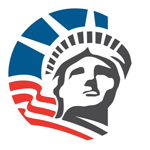 04/17/2015 We received your request for premium-processing of your Form I-129, Petition for a Nonimmigrant Worker, and mailed you a receipt notice. Next Steps We will mail our decision to you. The notice will explain any action you need to take. It looks like my COS wasn't applied for. Will it mean that I shall continue to remain on L2 after October 1st. Can I travel to India now? I am currently residing in US with L2 status which is valid for another 3 years. I have an EAD card (using L2) with which I am doing a job for employer A. Potential Employer B applied for H1B visa in April 2015 under premium processing which is approved for 3 years and its COS will happen shortly. The issue here is that I wish to travel in the month of August 2015?Can I travel? I shall be rentering US in September on L2 visa. Does my employer B need to file a second petition after October 1 due to my visit? Employer B tells me that "H1B will be active only when they pay me salary. Till then I shall be on L2". Is that true? If H1b will be abandoned, what would be the cost of reapplying my petition? What issues will I face if I travel out of US with an approved H1b petition? As discussed, I applied for premium processing for H1 this year and got my visa. Thanks for the brilliant advise. This means that my COS approval will happen soon before May 2015. If I travel by July 2015 to India, I can re-enter back on my L2 by August 2015. However, my employer tells me that "My H1 will only be active when we give you your first salary after October 1." I am currently on L2 EAD and doing a high paying job and I might not get those high salaries on H1 to start with. Does this mean that I can continue on my L2 even after October 1st? If the answer to above question is Yes, Can my Green Card application be started on L2 and then later move to H1?